120 practice problems (20 per page) and an answer key. 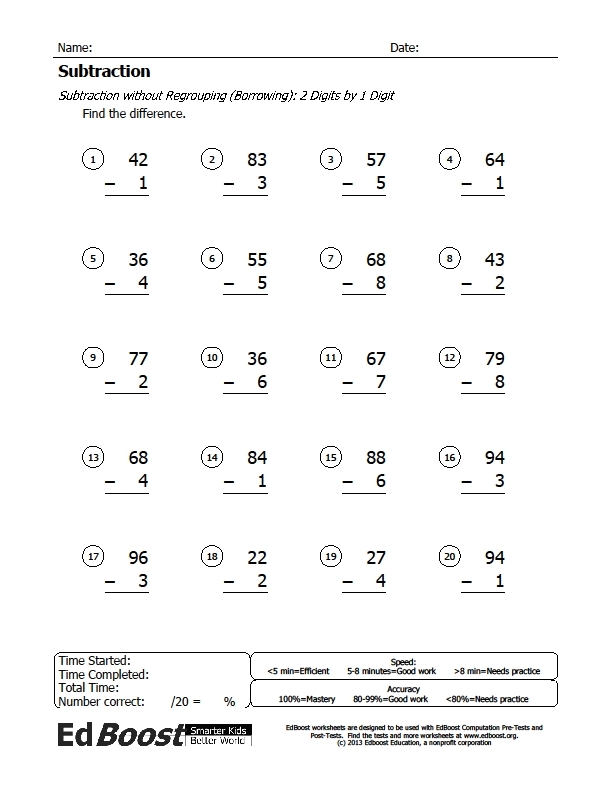 This packet helps students practice how to solve basic subtraction problems that use numbers through 100 but do not require borrowing (regrouping). 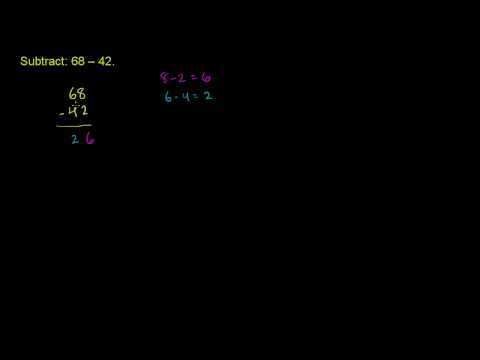 These problems are a great stepping stone between subtraction facts and subtraction with borrowing. Each page has a random set of 20 problems. Each page also has a speed and accuracy guide, to help students see how fast and how accurately they should be doing these problems. After doing all 120 problems, students should be more comfortable doing these problems and have a clear understanding of how to solve them.